This 33.5mm. slid 14k. 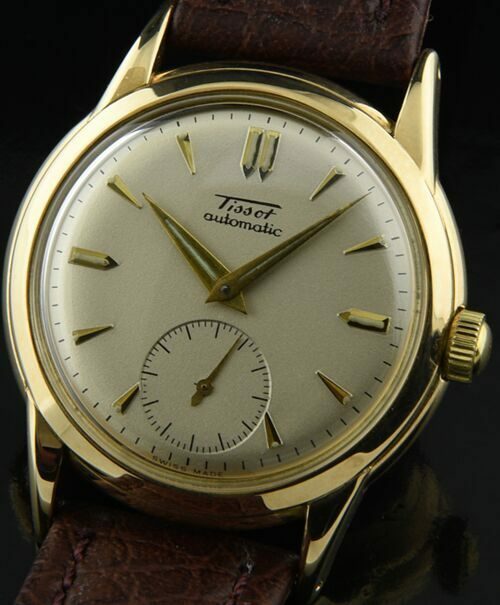 gold 1953 TISSOT has a perfectly restored silver dial which retains the original gold toned markers and Dauphine hands. The early bumper automatic winding movement is based on OMEGA’S design from the same era. During this period, TISSOT was produced by OMEGA. This movement has been recently cleaned and is accurately keeping time. The solid 14k. gold case looks excellent and is without any major dings or scratches. 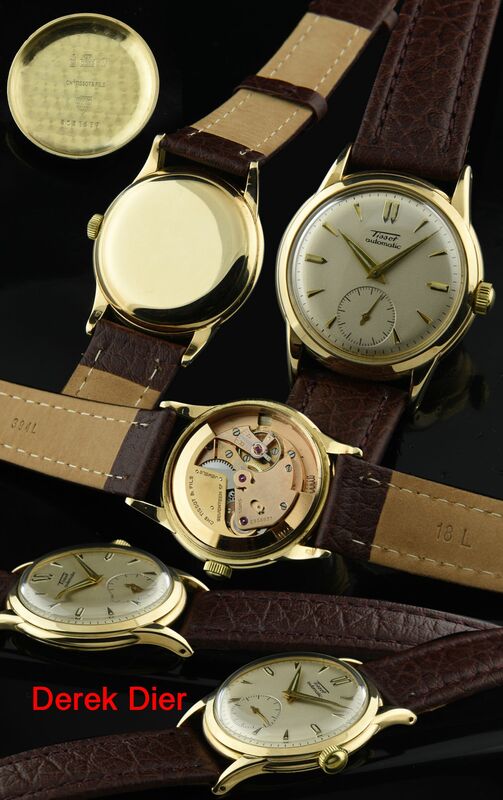 IF you are seeking a perfect daily wearer or reliable solid gold high quality dress watch-you found it.